The International Energy Agency (IEA) is out with its Energy Technology Perspectives report (via Carbon Brief). 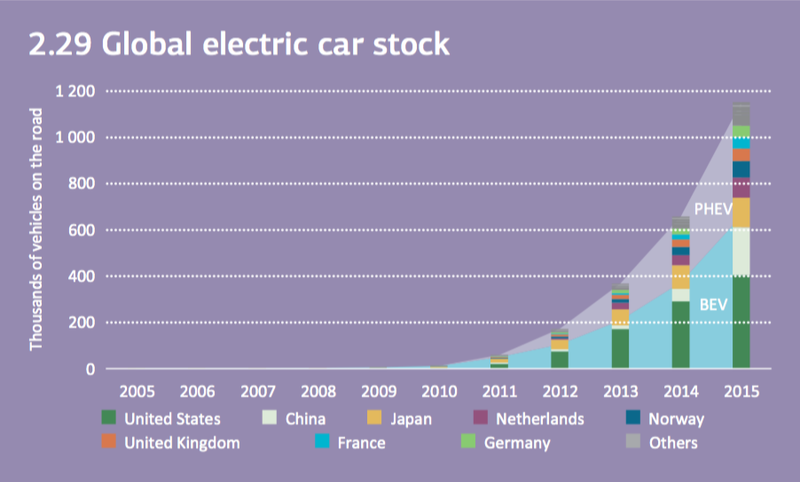 The agency compiled data from the automotive industry and determined that the world’s electric vehicle fleet surpassed the 1 million cars mark last year. Out of the 15 technology sectors to combat carbon emissions followed by IEA, the agency says that the EV sector is the only one on track for deployment. IEA said that ‘electric cars are roughly 10 years behind wind and solar in terms of deployment’ considering the recent resurgence of electric vehicles only started about 6 years ago, but the agency also said that the sector compensates with an incredible momentum. While the total of electric vehicles on the roads, plug-in hybrids and all-electric, reached 1.15 million at the end of 2015, the market added 477,000 during last year alone. It represents only a small fraction of the ~88 million new cars sold in 2015, but the growth is still impressive. At this rate, electric vehicles will add another million units 18 months after hitting the first million mark, which itself took over 5 years to achieve. The growth could actually accelerate as it is highly dependent on the availability models on the market and there’s a planned increase in EV models available starting in volumes in 2018. Cars like Tesla’s Model 3, GM’s Chevy Bolt, Nissan’s next generation LEAF and plenty of other electric vehicles are expected to hit the market around the same time. Also, it will be interesting to follow the split between all-electric battery-powered cars (BEVs) and plug-in hybrids (PHEVs) going forward. The number of models are increasing in both categories, but at the end of the day, only electric miles driven count toward curbing carbon emissions. 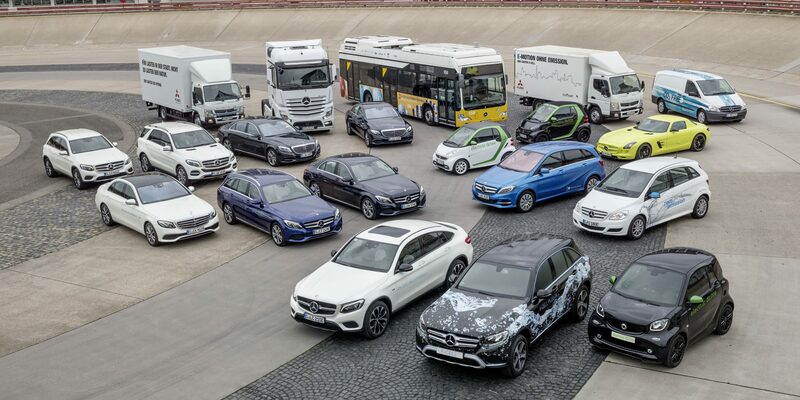 Featured Image: Daimler’s upcoming electric vehicle options according to its latest electric mobility plan.